Nerd prom is here, but let's just say that the fashion is anything but nerdy. 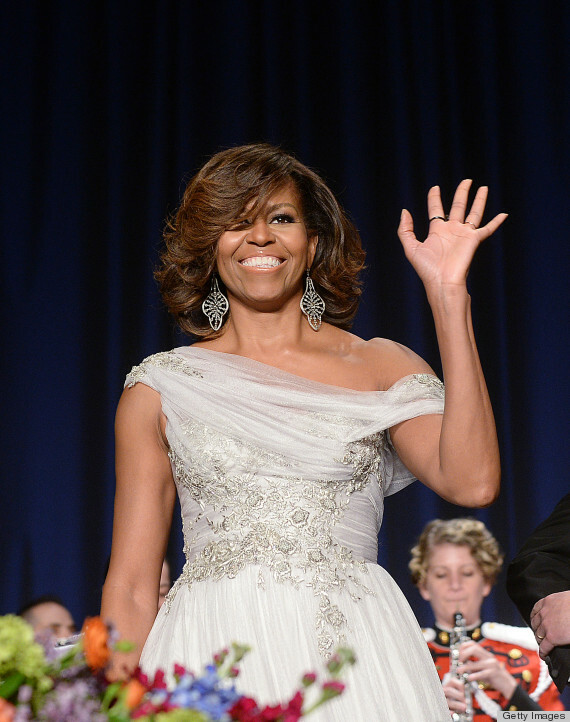 A-listers and politicos flocked to D.C. for the annual 2014 White House Correspondents' Dinner wearing some gorgeous dresses and snappy tuxedos. And though there were many best-dressed potentials in the crowd, Michelle Obama just might take the cake. 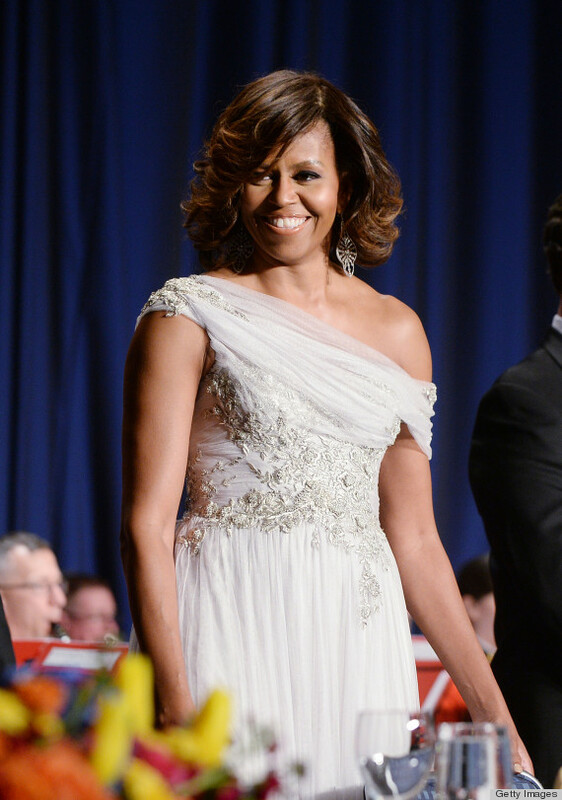 FLOTUS stunned in a gold Marchesa off-the-shoulder gown with a embroidered bodice and a flowy skirt. To complete the look, MObama went with a pair of statement earrings, kitten heels and what can only be described as the best blow-out ever. We might be getting ahead of ourselves here, but this could be Michelle's best look of all time.